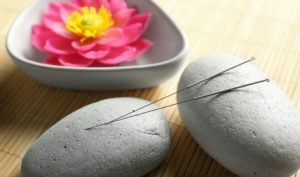 Home » Uncategorized » Can acupuncture help cancer patients? Up to 70 per cent of patients with advanced stage cancer suffer from pain for which they receive inadequate pain relief. This can lead to impaired physical and psychological well-being, resulting in a poorer quality of life (van den Beuken-vanEverdingen et al, 2007). Many practitioners consider acupuncture to be a viable way to combat this pain, particularly in the palliative care setting where there might be limited treatment options (Lian et al, 2014). In addition to pain, cancer patients commonly experience other unpleasant symptoms related to the cancer or its treatment, such as hot flushes, nausea, fatigue, vomiting and dry mouth. The treatment and relief of cancer-related symptoms still represents a challenge to healthcare professionals. Acupuncture is advantageous because it is safe and free of the many unpleasant side-effects resulting from (chemical) medication. In 2004, NICE published guidance on improving supportive and palliative care for adults with cancer which recognised that a large proportion of patients with cancer used complementary therapies, including acupuncture, to manage distress, anxiety, pain and nausea associated with their condition (National Institute for Health and Care Excellence, 2004). NICE guidance noted that there is evidence to support the use of acupuncture to alleviate pain and chemotherapy-related nausea and vomiting. Pain: Hu et al. (2016) conducted a large systematic review and found that acupuncture combined with conventional drug therapy was more effective at relieving cancer-related pain than drug therapy on its own (although acupuncture on its own was not superior to drug therapy). Also, in 2017 another systematic review concluded that acupuncture can be effective as part of a multimodal approach for reducing cancer-related pain, even though there were limitations in the studies analysed (Chiu et al, 2017). At present, evidence from clinical research is promising but not definitive because there are too few high-quality studies. Systematic reviews, including a recently updated Cochrane Review, investigating the efficacy of acupuncture for cancer pain are largely inconclusive due to the quality of the evidence(Paley et al, 2015). ← Sports Acupuncture – Can It Benefit Strength Athletes?